Victor Mill bedding includes comforters, coverlets, bedspreads, pillows, and more! This quality bedding features classic design prints that you’ll be proud to display in your bedroom. A new bedding set will set the mood for your bedroom. It will add a fresh perspective, and change the look and feel without you having to do any physical work, other than making your bed, and perhaps adding some matching accessories. It’s fun to create a new atmosphere in your bedroom with a fresh new bedding set! Add accessories such as area rugs, wall decor, lamps and other tabletop decor, and more, to create a themed look you’ll enjoy. You can’t go wrong with Victor Mill bedding! The craftsmanship is amazing, and the products will last well. Add a touch of Paris to your bedroom with this cool Paris comforter set by Victor Mill. 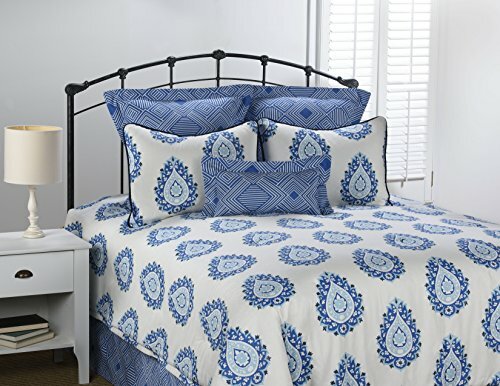 You will get the comforter, bed skirt, and 2 shams in this pretty bedding set, and it is a Queen size, which will also work well on a full bed. Add pops of red, turquoise, lime green, or other accent colors throughout your room, or keep things simple with blues and creams. This toile print is classic and gorgeous! This set includes the comforter, bed skirt and two European pillow shams. You can purchase a matching square pillow separately, and add your own black and white accents throughout your bedroom. If you love bedding with a nautical or tropical flare, then these bedding sets will impress. Victor Mill has designed some lovely bedding collections that you’ll love using in all of your bedrooms. 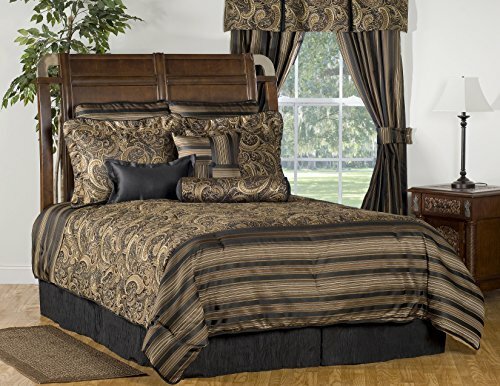 This paisley comforter set is oversized and overstuffed for a luxurious look and feel. It also includes stripes and solids in deep, rich colors that will add warmth to any bedroom in your home. Pair it with deep brown rugs, curtains, and other black, brown, or tan accessories for a look that will impress. Bring some pops of blue into your world with this eclectic designed bedding set by Victor Mill! The bold medallion teardrops in blue have been placed over a white background, for a clean and simple look that is contemporary and elegant. Enjoy these Victor Mill bedding collections in every bedroom of your home. No matter the age or gender, there’s a bedding set that is sure to please! 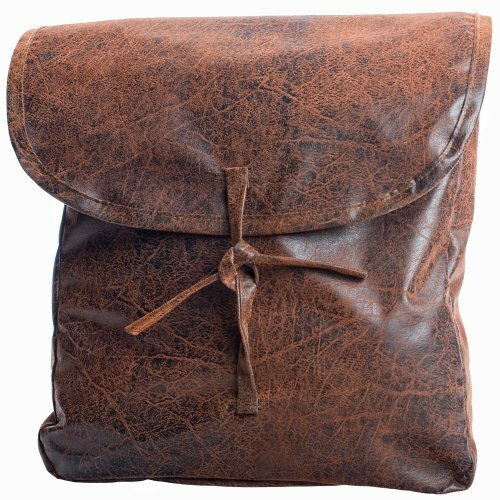 This faux leather saddle pillow goes well with a variety of the bedding sets featured on this page, or you can use it on a sofa or chair in your living room, family room, den, or office. El Paso is a sunburst of Southwestern jacquard coordinated with rugged faux leather. Of course this pillow is made to match the Jamestown bedding set, but imagine it with another navy or white bedding set, too! 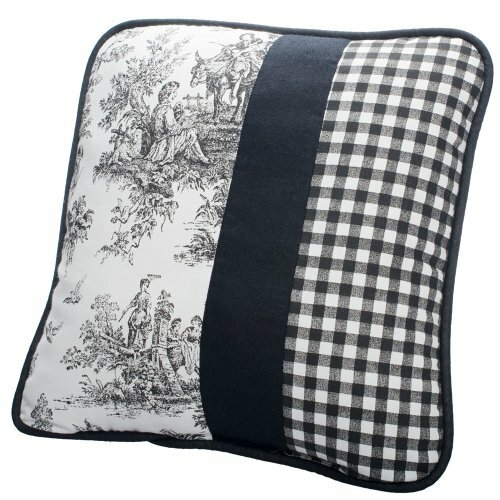 I love the toile print with the solid strip of navy and the checkered navy and white print. This is one of my most favorite pillows ever! Pillows not only add creative touches to your bed, you can dress up any room by tossing a few pillows on a sofa, chair, window seat, bench, and even the floor. Pillows are a terrific way to add pops of color and unique design touches to any room.